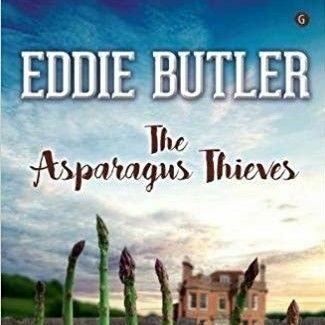 The Asparagus Thieves spans the era from the First World War to the present day, with settings ranging from the suburbs of Cardiff and rural Pembrokeshire to Mallorca and Mametz Wood. The plot centres on Tallis Hall a manor house that touches the lives of all the characters. This is a cleverly spun tale consisting of two or maybe even three separate story strands. One in 1914 and the other a hundred years later. It's the story of two Daniel Jones's and of a large property in Pembrokeshire, linked to the Jones family in indirect ways. The property is the focal point in a story of a lot of odd characters, namely war heroes and their families, mirrored in the story of other real life heroes outisde of war. How the stories are linked in the plot and literal sense is less important. Two sons, one rich, one from working family, serve in World War I. And a beautiful Welsh girl in Marbella and her childhood friend are sailing close to the wind in a crime driven environment. What links these stories more than the far fetched and often odd links is the authors wonderfully warm portrayal of humans in their search for happiness and a sense of everything coming together in the end in a clever resolve. In this way there are more parallels and connections than the obvious ones. The book has the potential to fill several volumes, so rich in characters and material. Spanning and leaping many years and generations, some of which could have their own book, Butler certainly doesn't lack ideas and imagination.